A treatment technique addressing the musculoskeletal systems of the body. When we get an injury or pain disorder, our body is in a state of imbalance and measures must be taken to restore that balance. Your physiotherapist will use a variety of hands-on techniques and exercise therapy to get you back to normal and in your optimal condition. Your physiotherapist is skilled in a number of areas from soft tissue mobilization, joint mobilization, stretching, strengthening, postural alignment, core stability and exercise prescription. If you have had an injury to joints or muscles, your physiotherapist will be assisting in your recovery. Massaging tissues to assist their healing capability and mobilising. Using TENS and ultrasound to aid in the healing process. Stretching and mobilizing joints so that they are at their optimal functioning level. Helping you to retrain postural muscles that may be weakened and hindering your recovery. Helping you to retrain movement patterns that may be dysfunctional. Anyone who has had an injury to the musculoskeletal system from sports, work or accident. Anyone who wants advice on exercises and posture. Anyone with back pain or neck pain. Anyone who needs rehabilitation after surgery. Anyone with recurring problems and chronic condition of the physical body. Exercise therapy including core stability and stretching. Natalie is lead Physiotherapist and medical co-ordinator for the New Zealand Ice Blacks (New Zealand International Ice Hockey team), ensuring the athletes were at optimal performance for the World Championships in Jaca Spain 2014. She will be continuing this in preparation for the 2015 World Championships in South Africa. 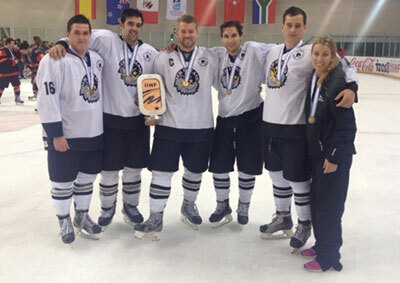 Alongside New Zealand’s international team, she is also the Physiotherapist for the Southern Stampede Ice Hockey team based in Queenstown, which competes in the NZIHL. Natalie has unique experience of working within various sporting capacities from league to international rugby, football & ice hockey teams in New Zealand, Melbourne and the UK. Experiences include working with elite teams such as the All Blacks 2012-14 during their test matches in Dunedin, Irish Rugby Squad, Kiwi League team, Wallabies and Bronco’s rugby teams. More recently, Natalie has been working with AFL team St Kilda as they were training in Queenstown. Natalie also lead the team for the Rugby 7’s Tournament in Queenstown, 2012. Natalie is currently in the process of implementing concussion testing throughout New Zealand Ice Hockey. After recently undertaking a course in concussion management in Melbourne, she will standardise baseline testing in all ice hockey athletes that will be competing at New Zealand’s top level. This a major development for league safety in an area of growing medical concern. Scott is a New Zealand qualified physiotherapist who specialises in diagnosing, treating, and preventing musculoskeletal injuries using a varieties of methods, including manual therapy and exercise prescription. He is a keen sportsman and enjoys playing rugby, cricket and golf. Scott has recently been working with members of the New Zealand national boxing team, targeting the prevention and treatment of concussion within the boxing and rugby populace with latest evidence-based studies.